Looking to get a good deal on a new custom made nylon bullwhip? 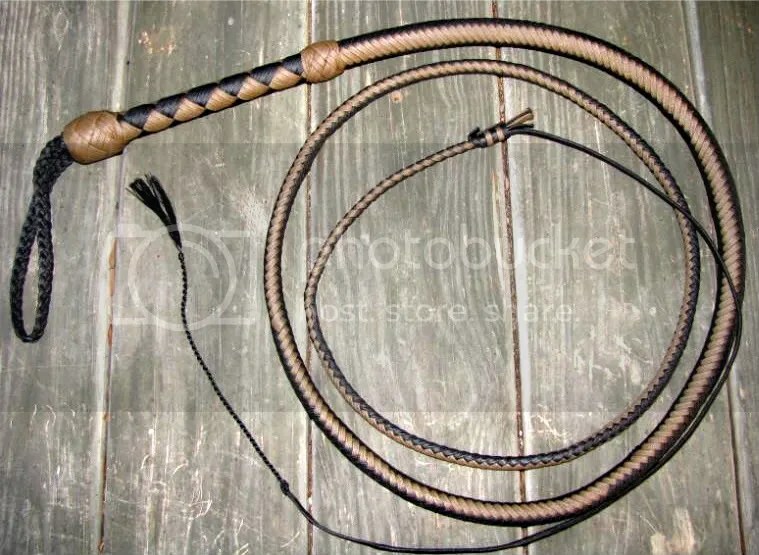 Beginning July 4th through the end of the month, all new bullwhip orders from Cowwhips.com will receive a 10% discount. This is a great way to save some cash on my redesigned line of nylon bullwhips. Among established, reputable plaiters, you won’t find too many places on the web where you can get a deluxe, custom made nylon bullwhip with 2 plaited bellies for just $16.20 per foot. 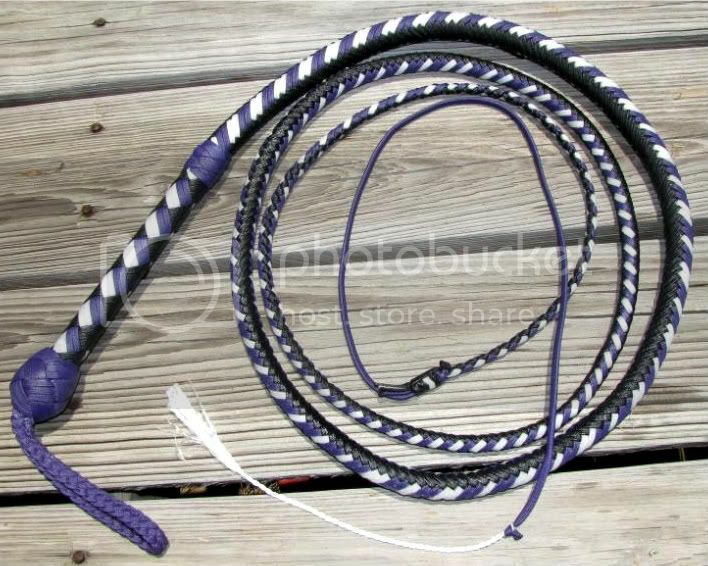 These are top of the line bullwhips at “budget whip” prices! And as always, there’s no additional charge for multi-colored whips. 10% discount only good for nylon bullwhips that are ordered within the time frame specified above. Price will be rounded to the nearest dollar. Deposit or payment for order is required at the time the order is placed. All bullwhips are custom made, so expect between 8-12 weeks for delivery. Not valid on rush orders. For more information about how I make bullwhips, please visit my website. Email me @ Rhettswhips@yahoo.com or call (912)-685-6759. I may not be available by phone until Monday, so please email me if I do not answer the phone. This entry was posted on Tuesday, June 30th, 2009 at 12:34 pm	and posted in bullwhips, for sale, nylon whips, Whips. You can follow any responses to this entry through the RSS 2.0 feed.